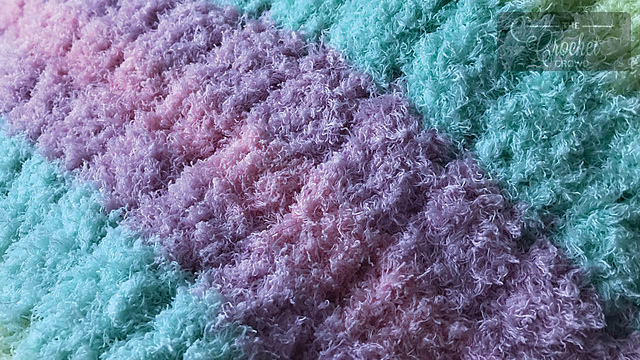 I found a blanket with a great texture. It’s very cheerful and colorful. It’s a pattern that you can do in your free time in front of the TV. After mastering one row, it’s really simple. The blanket has a motif of sweet wafers that all children like. This pattern is a great gift idea for the youngest. To make this pattern choose yarn Bernat Pipsqueak Stripes. This is a free pattern for every crochet fan. The blanket size from the photo is 32″ x 32″. 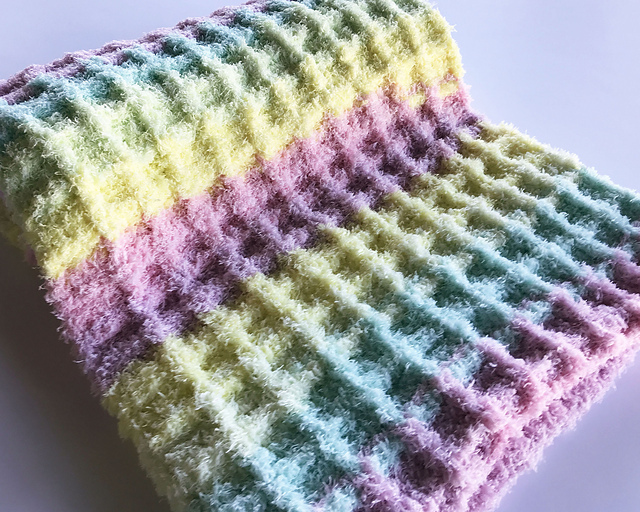 Baby Waffle Blanket Free Crochet Pattern is here.